Sandalwood’s latest sensations Rashmika Mandanna and Rakshith Shetty get engaged in a high profile event on July 3 2017. See what jewellery the pretty actress chose to wear on her engagement day and during pre-engagement events. Rashmika looks really pretty in these beautiful gold jhumkas and long gundla hara chain that goes really great on her saree. 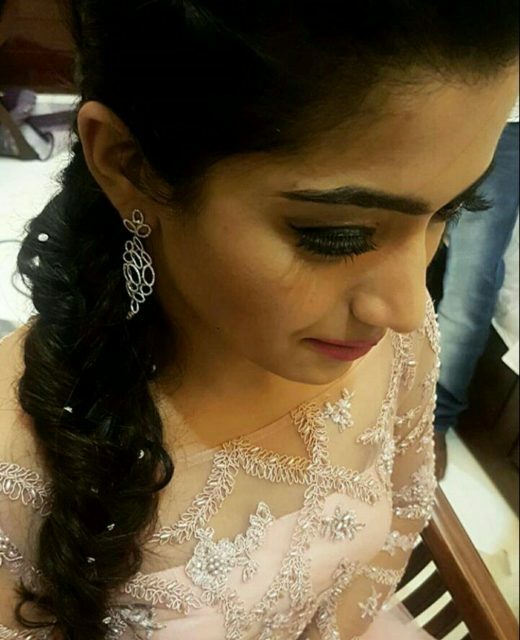 She dolled up in peach color gown with a pair of fashion earrings to complete her look on her engagement!